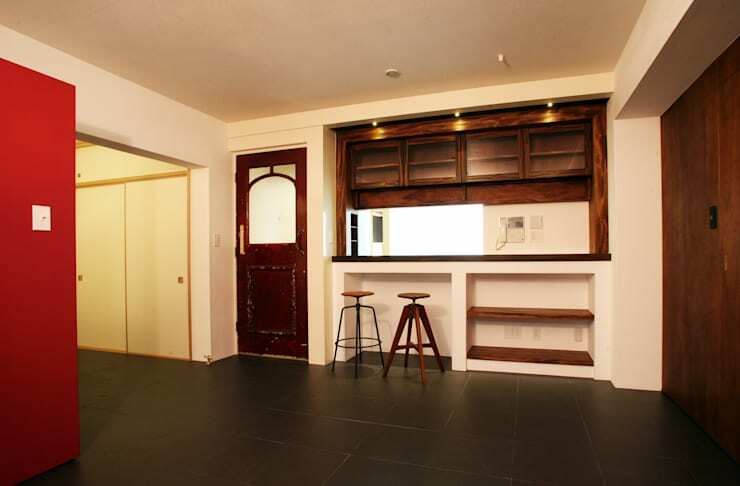 The old wooden floor, stained glass door panels and unpolished brass plates made this space look drab and outdated. Neatness is a great foundation from which to build a whole new look for your otherwise dingy home. 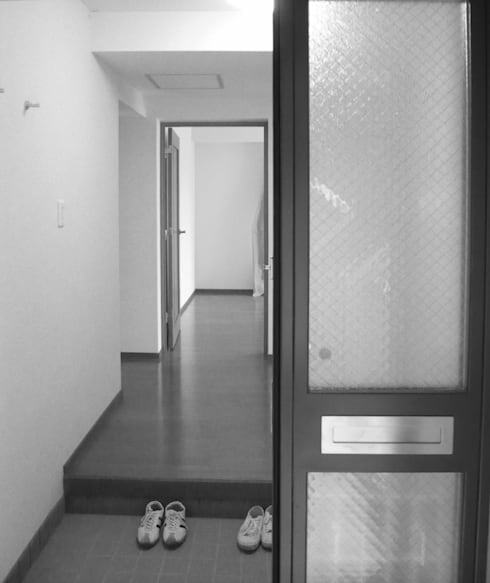 The new entryway has a warm and vibrant feel with an understated elegance. Myriad hues of natural wood and exposed concrete line the walls, with the carpeted floor smooth and plush. 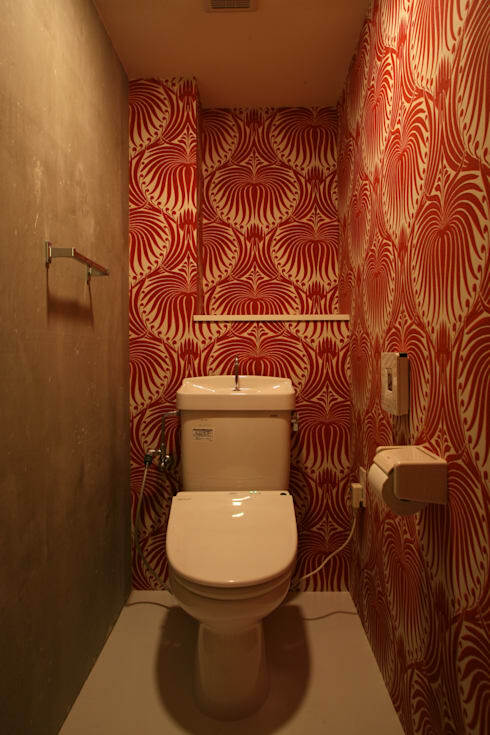 A back-lit panel with red and white patterned wallpaper brings an ornate and lively effect to the space. Structural changes like the flat pillar and recessed lighting make for a stylish and cosy look. Much like the rest of the home, the old kitchen bore an empty and forlorn look. 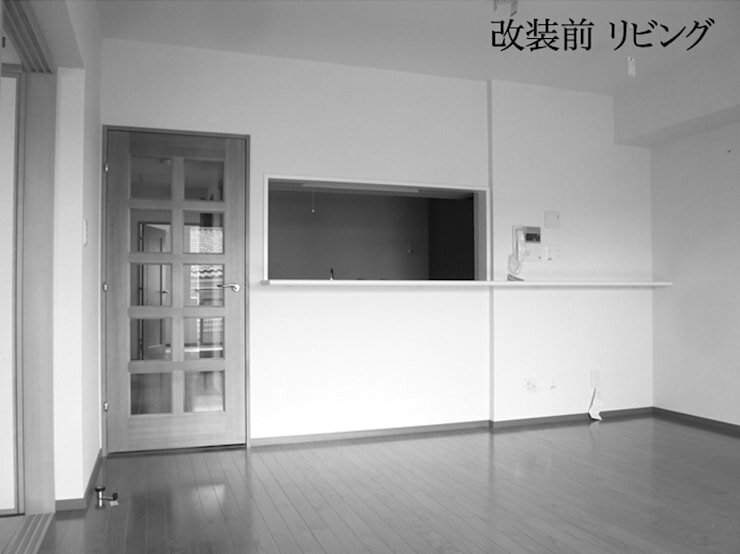 The plain walls and non-existent style made this a dull space. The ageless good looks of wood have been worked into the predominantly white space by way of a timber screen and classic bar stools. Shelves have been incorporated into the various alcoves, along with golden lighting. The door on the side has been swapped for a more antique art deco specimen. This bold look is magnified by the vibrant red wall on one side, while solid wood lines the rest of the space. 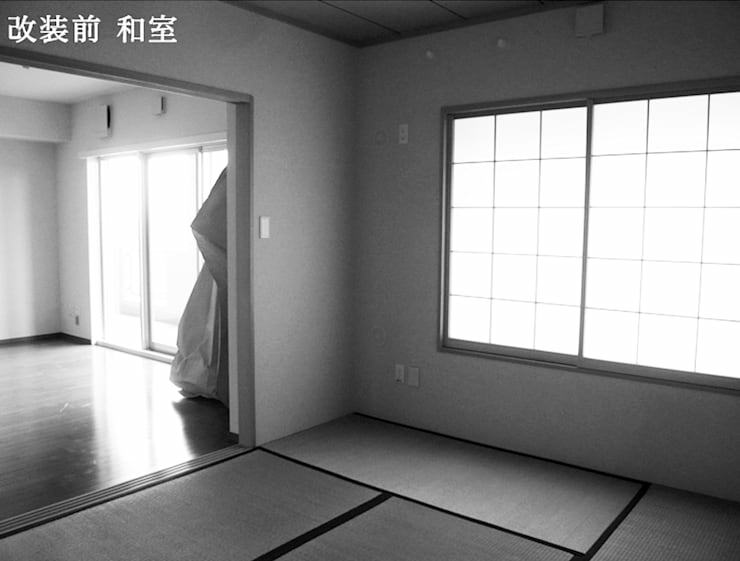 The uninspiring tatami room required an overhaul and some subtle style to create a more invigorating ambience. 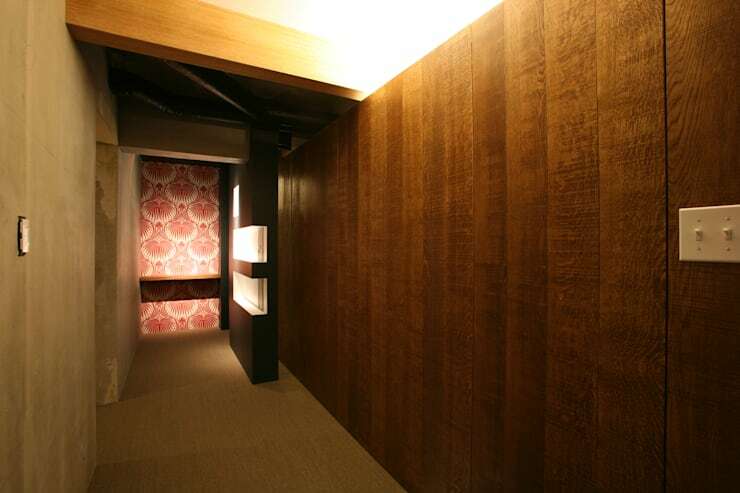 The newfound sense of style in the tatami room is due to the vibrant saffron tones of the wooden panels. The sliding door and overlying screen unites the vibrant grain with pale-coloured beams. 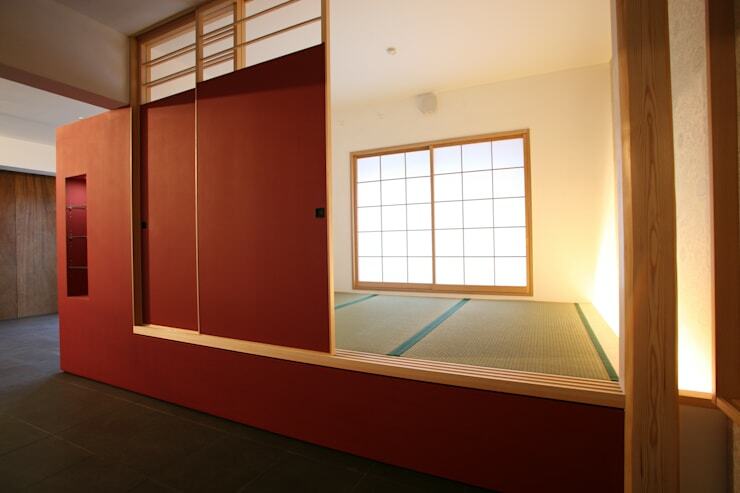 Inside, the shoji screen-like window dominates one wall, while the floor has been stylishly marked with teal lines. The lovely bathroom embodies a strong oriental vibe well balanced by raw urban touches. The minimalist theme running through the home is here expressed by plain concrete walls—perfectly offset by the luxurious wallpaper. The entire design gives a stunning feeling of refined luxury. For another inspiring makeover story, take a look at: A crumbling house becomes the perfect home. What's your favourite part of this home transformation?